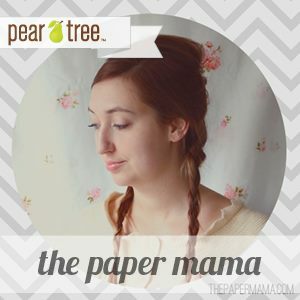 Pear Tree Greetings is excited to announce that we are sending Chelsey, The Paper Mama, to BlogHer 2012! Chelsey is a longtime Pearista and supporter of Pear Tree, loving all things paper and believing in the power of a handwritten note. Writing a hand written note means a lot to me. I LOVE to send cards just randomly to tell my friends how awesome they are… to tell my sister I miss her… or to say Happy Chocolate Cupcake Day (This is a REAL national day!). I love receiving hand written notes (*hint *hint ;D). So much better than all those bills I get! She has contributed her many thoughts and opinions about Pear Tree on her blog, including topics around gift tag stickers, notelettes, thank you cards and more. We are happy for her to represent Pear Tree at BlogHer! BlogHer conferences bring together thousands of women who blog from around the world to discuss, inspire and connect with each other. This is Chelsey’s second time going and she explains some tips she learned from last year in her post ‘So you’re going to BlogHer?’.